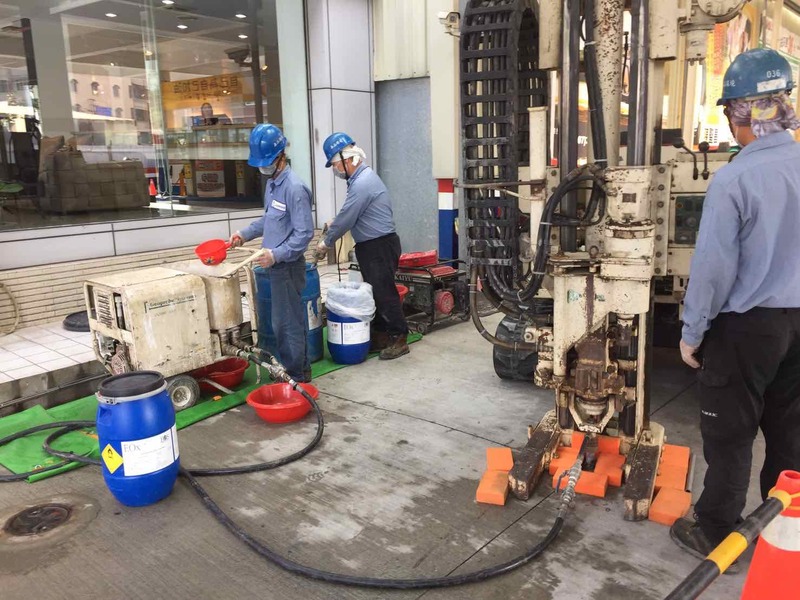 RESOURCE : EOx Case Study - EOS Asia Remediation Co., Ltd.
Benzene and Toluene from a leaking UST had contaminated groundwater at an operating gas station in southern Taiwan. 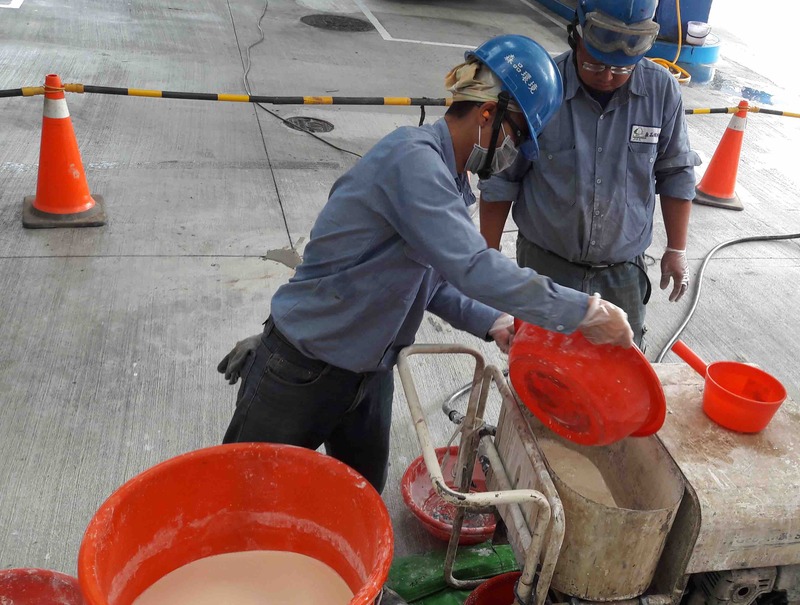 Previous remediation efforts including in situ chemical oxidation (ISCO), air sparging and soil vapor extraction (AS/SVE) system had been implemented with limited remedial effect. • Control plume migration and recover the mass of contaminants. • Enhance biodegradation of Benzene and Toluene. • Meet local regulatory standards of Benzene and Toluene in groundwater. • A treatment train that applied AS/SVE physical system followed by aerobic bioremediation. • Remedial system including horizontal and vertical AS/SVE wells was designed and installed for later injection of EOx. • In total 11 AS wells and 5 SVE wells were installed and operated for 8 months before EOx injection. 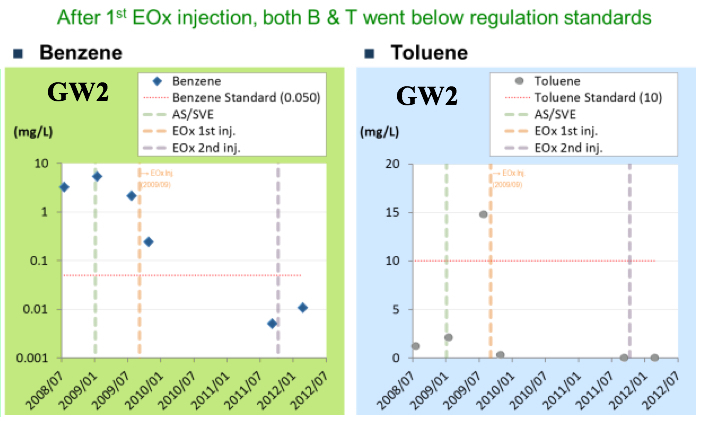 • Bottom-up injection of EOx slurry with Geoprobe® was performed twice within 2 years. • DO, ORP, water temperature, EC, pH and water level were monitored every 3 months. • Benzene and Toluene in groundwater was decreased from 5.67 (113 times of regulatory standard) and 13.50 mg/L to under 0.10 and 0.01 mg/L respectively. • Two orders of magnitude reduction in concentration indicated that the treatment train worked well with proper injection design.